Anneke Caramin: Silence in the Library! Very cool. 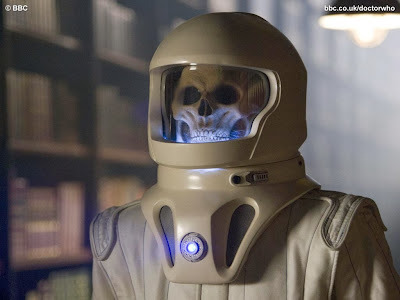 While I haven't watched the current Doctor Who, I neat to see people get into the lore of a series. Great job on the dress! I'd love to see how you did the pleats, and that Dior video was amazing...thanks for the link! I have never seen Dr. Who but your dress is amazing! I love the pleats on the back and the ombré effect. Well done!